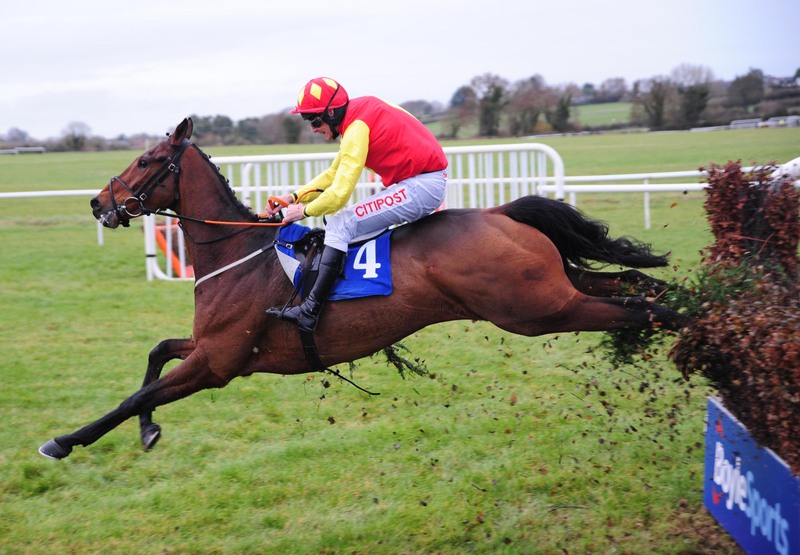 Jaunty Thor made it two wins in less than 48 hours when defying a 6lb penalty for scoring at Fairyhouse on Tuesday by landing the Littleton Handicap Chase at Thurles. The eight-year-old Norse Dancer gelding was snapped up for just £5,000 at Doncaster in May and has now won four times in the past six weeks for the Call It What You Like Syndicate, which includes successful trainer Gordon Elliott’s head man Simon McGonagle. The 5-2 favourite was sent to the front approaching the final fence by Davy Russell and kept on well under pressure on the run-in to hold Fairymount Boy by half a length. “The trip wasn’t ideal and he was flat out early, but the further he went the better he got. He has been a great servant and it was nice for the lads,” said the Cullentra House trainer. Joseph O’Brien can do little wrong at present and followed up a double at Dundalk on Wednesday evening with another brace via Los Alamos and Silk And Sand. Los Alamos looked set for a convincing success when asserting after the penultimate flight in the Thurles.ie Maiden Hurdle, but needed to dig deep for JJ Slevin from the last to prevail by half a length from An Fearchan, with Kilchreest Moon just a head away in third. Silk And Sand completed a quick double for the Piltown trainer when taking the bumper under Derek O’Connor. A change of scenery proved just the trick for D’bru Na Boinne, who opened his account at the 10th attempt in the Thurles Beginners Chase. The former John Joe Walsh-trained gelding was having his first run for Ross O’Sullivan, and was fitted with a tongue-tie and cheek pieces for the first time. Andrew Lynch had the 7-1 chance up with the pace throughout and eventually got the better of a protracted duel with Can’t Be Done by half a length. “Andrew had ridden him a good few times at home recently and said his jumping was key to him. He is a horse who loses confidence when he misses a fence,” said O’Sullivan.